Runcorn based Digital Marketing firm, Aqueous Digital, are set to post their highest ever turnover figure after receiving funding from the Northern Powerhouse Investment Fund. The funding was granted after Managing Director Jonathan Guy met Carol Bolland from FW Capital at a K-Club Breakfast Event in 2017. 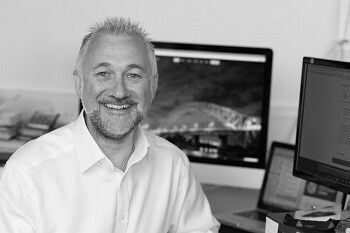 Aqueous Digital have been trading for almost seven years in Halton and in December 2017 were looking to expand; they were outgrowing their existing premises at The Heath Business and Technical Park and wanted to move into new premises, as well as to develop their sales and marketing efforts. Following their introduction at K-Club, Carol went to visit Aqueous Digital and was impressed with their plans and growth strategy. The company wanted to move and expand at the same time and clearly this was going to require a capital injection. After a relatively swift approval process, funding was secured at the start of 2018 and on 19th January the company moved into their new offices. Since then they have forged ahead and between December ’17 and June ’18 have increased turnover by 46% and are on target to meet their year-end targets. Managing Director Jonathan Guy said “K-Club was hugely influential in us getting this funding and meeting Carol was the catalyst. Until that point I hadn’t considered funding and was wrestling with how to use existing bank facilities to grow the business.” He added, “Without K-Club I doubt we’d be in the position we are in today”. K-Club was set up to be an exclusive network for key entrepreneurs and business leaders and is a gateway towards building a trusted network of contacts of like-minded people of the highest possible calibre. The fact that the meetings have a strict no ‘hard sales promotion’ policy, means people can relax and enjoy the company of others. In this atmosphere it’s a lot easier to find people with whom you might want to do business, rather than be forced to try and swap business cards with everyone in the room. 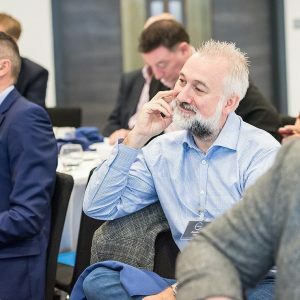 Aqueous have set ambitious plans for 2018/19 and have targeted to become a £1m turnover business before the end of 2020. Following K-Club’s help, this is now looking like it can become a reality.